Leaves are adapted to absorb carbon dioxide from the air therefore transpiration can also occur in leaves and water is lost to the air. The structure of primary xylem vessels. Xylem vessels transport water from roots to leaves to replace water lost in transpiration. The cohesive and adhesive properties of water molecules allow water transport under tension in xylem and cell walls. The roots cells use active transport for the uptake of mineral ions (nitrates) which causes osmosis and the absorption of water. 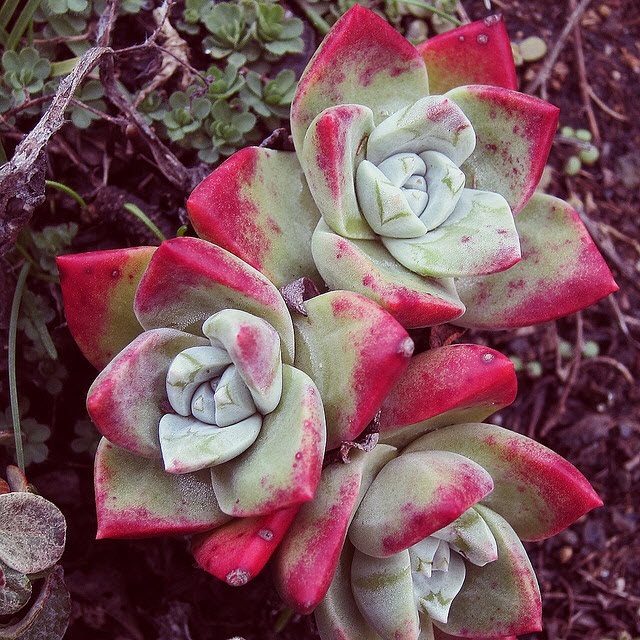 Xerophytic plants in deserts have adaptations for water conservation. 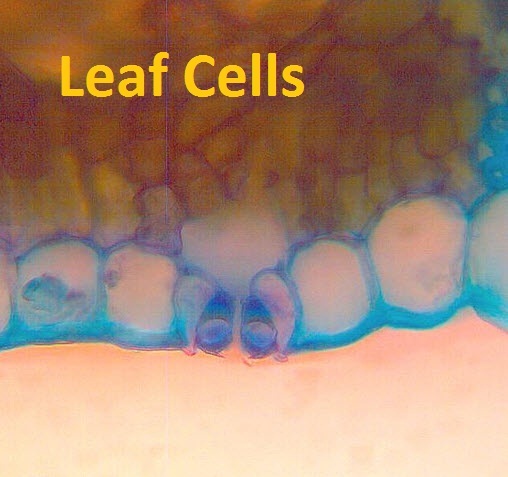 In what ways is a leaf like human lungs? Why is cohesion and adhesion of water molecules important for the transport of water in tubes? What factors can speed up osmosis? What is the role of active transport in osmosis in the roots? Imagine five modifications that a plant could do to its roots leaves and stems which would help it live in a dry (or salty) place. The different mechanisms of transpiration can be investigated outside plants using models, eg porous pot potometers, capillary tubing & blotting paper. 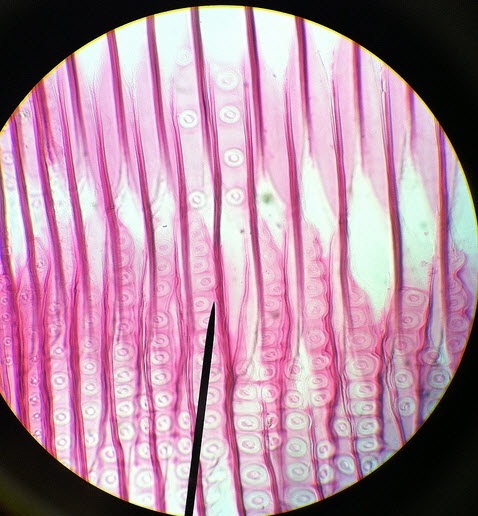 Ability to draw the structure of primary xylem vessels in stems from microscope slides. Design an experiment to test hypotheses about the effects of abiotic factors on transpiration rates. The structure of leaves and the guard cell's dilemma. A short video introduction to the roles of cells in a leaf followed by some simple note taking about leaf structure and function. The function of stomata is linked to carbon dioxide absorption and also to the problem of water loss. Finally, some simple questions test knowledge at the end. Time: 1hr This lesson begins with a hands-on look inside the roots and stems of plants to see that the cells are not all the same and that there are specialised cells helping the plant to transport water and sugars. Not to mention supporting the plant. 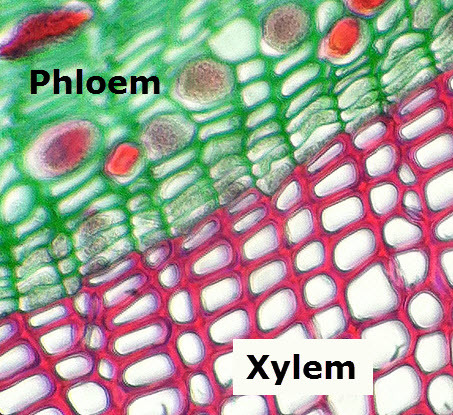 A short research task is designed to help students find the key details about xylem and phloem which will be needed in the following lessons. Finally, some simple questions tests factual recall. Time: 1h This lesson follows on from the lesson on vascular tissues and explores the details of the way water travels through plants and how the plant is adapted to facilitate this transpiration stream. The movement of mineral ions and the role of mutualistic fungi alre also included. The role of water and vascular tissue in the support of plants includes the presence of thickened cellulose, cell turgor and lignified xylem. The role of phloem in translocation of sugars makes a good comparison activity. Time:1hr This lesson builds on the adaptations of the plant to enable transpiration covered in lesson 4. The difference between transpiration and transpiration stream is clarified and the factors which control transpiration rates are explored, including; opening and closing of guard cells, the plant hormone abscisic acid and abioic factors. Once this is understood students can apply their understanding to adaptations of xerophytes. Time: 1h Using potometers is a nice way to explore the relationship between abiotic factors and transpiration rates. This experiment could be adapted and used as an investigation. Much depends on the equipment available and there are some suggestions for simple versions of these experiments in this lab. This is an activity to help students to identify DV and IV then to work out the factors which need controlling. Then to plan their analysis of the data, and this deduce how many data to collect in the experiment.